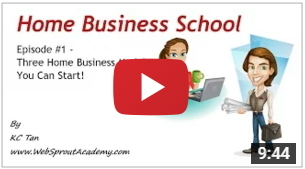 Turning your knowledge into income! Online coaching is suitable for you if you do not live in Singapore. Or if you live in Singapore but just require a quick coaching call with me, then this is a viable option too. We will use Skype to communicate (voice only, without video). *Each session will not exceed 45 mins. This is only applicable if you are living in Singapore and the meetup place will be decided by you. It can be at your home (especially if we need to setup your recording equipment), or we can meet at any place at your convenience. *Each session will not exceed 50 mins. 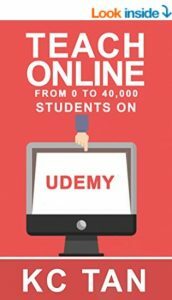 Create your first online course and sell to the world! Generate part-time income using affiliate marketing! Get help to clarify what you can do for online business! Leverage popular traffic source to attract visitors to your website! Create and design professional website for your business. Please note that coaching session will only be confirmed upon payment. There are no availability slots till 3rd quarter 2019. My coaching is specially designed for individuals who have some experience and knowledge in particular topics but are unsure about how to package and sell your information online. I will guide and teach you on how to develop a system to start your own informational business using the models that you are most comfortable with. If you are currently conducting classes or workshops in your country and are keen to widen your teaching influence to the global market, I welcome you to contact me to explore your options! If you possess deep knowledge about a particular topic, many people would love to learn from you to help them shorten their learning curve! Contact me today to find out how you can get started! If you have years of experience on your job or career and are keen to learn how you can package your work experience into informational products, do get in touch with me to find out more! Do you have a strong interest to share more about your hobby and interests with like-minded people? Put your valuable knowledge to good use by sharing them with others! Get in touch with me to find out how you can get started. Interested to explore teaching online? Contact me for a discussion to make it happen! No worries, just drop me a message below and I will be in touch with you!